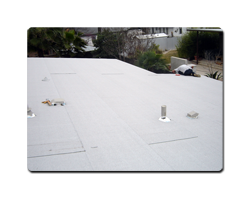 We perform waterproofing work for "Steep Slope" as well as "Low Slope" or "True Flat" roofing. 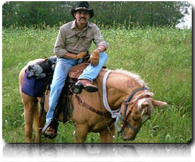 Our preferred "True Flat" product line is Duro-Last. 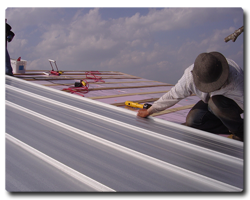 For residential products at twelve squares or less, we also use a self adhering (S/A/) two or three-ply membrane system such as the GAF Liberty or CertainTeed FlintLastic system. 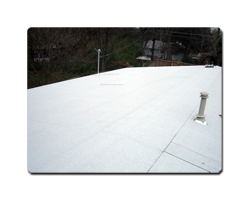 A "Steep Slope" roof is generally considered to be anything above a 4:12 pitch. 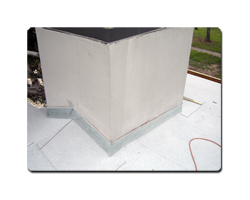 Roofs with a 1/4" rise over a 12" run, or less, is typically called a "True Flat" roof. 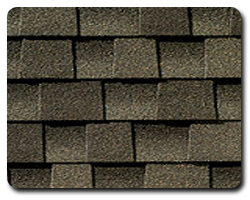 We utilize a variety of shingle manufacturers so we can provide our customers a combination of a better value as well as color and performance relevant to each individual job. Please check back to this page--we'll be adding photos and information on prior projects in both the low slope, true flat, and commercial applications. A 3 Tab / 20 Year shingle is the 'basic' variety of roofing product. It has a combination of price as well as overall ease of installation. Typically, these shingles lay flat, however most color options have a slight variation in shading to give a suggestion of depth. An Architectural / Dimensional / "30 Year" shingle is the next most common step up from the 3 Tab for a slight increase in cost. They do not have slots like a 3 Tab & there is a second layer that is randomly bonded to the top of the base layer for a 'true' version of depth. 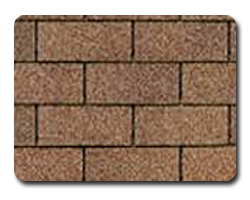 The basic idea of a Dimensional shingle is to look like a slightly aged cedar shake shingle (although it's rare that you find cedar shake shingles in such a wide variety of colors like an Architectural shingle). There are also 40 Year, 50 Year & "Lifetime" shingles available from various manufacturers. 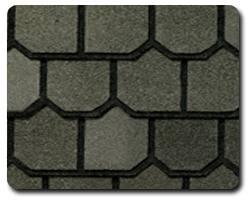 Specialty shingles: Some manufacturers provide shingles that give the appearance of a cut section of slate or heavy slats of wood, with a fraction of the cost and a greater ease of installation. Some manufacturers offer shingles with a "Class IV wind & impact resistance" which will allow for a deduction in your homeowner's policy as well as a reduced deductible if you should ever actually have to file a claim. For specific details, you should ask your insurance company. 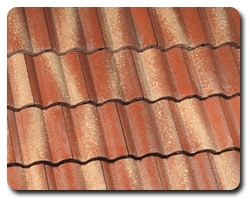 For that truly distinctive Texas look, metal roofing is going to be the first place to start. Metal roofing is always great for energy efficiency with benefits for resale value as well as longevity. If you select a panel with the right thickness & method of installation, you can look to a discount on your insurance premiums as well as lower deductibles if you should ever have to file a claim. Please check with your insurer to see what their specific benefits are in relation to metal roofing. For a true Mediterranean or Spanish influence, nothing beats the look & style of a traditional "S" tile roof. The tiles are heavy, however, so they aren't possible for every application.